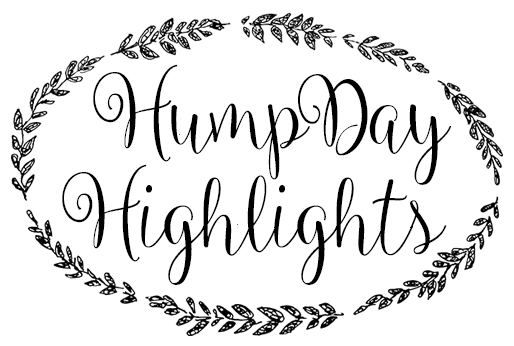 I am so excited to announce that I have teamed up with an amazing group of bloggers to bring you another installment of "Hump Day Highlights". Each Wednesday we will list some things from the past week that we are loving, can't live without, are on our wish-lists, or are things we are just plain obsessed with - and we will even add links (when applicable) so you can check out or scoop up anything you love, too. Your weekly hosts are Misty, April, Shannon, Amanda, Danica, and Kaitlyn. We would love for you to add your post to our link up of the things you are loving this week, too. And please spread the love by following the other blogs in the link up/commenting on their posts. This is such a great way to meet like-minded ladies and make new friends, all while showing off your blog, too. The Hump Day Highlights weekly link up is going to be a blast, I hope you link up and follow along! So here we go, my favorites/highlights/wish-lists/obsessions for this week! We love our Re-Play Recycled dishes and utensils! 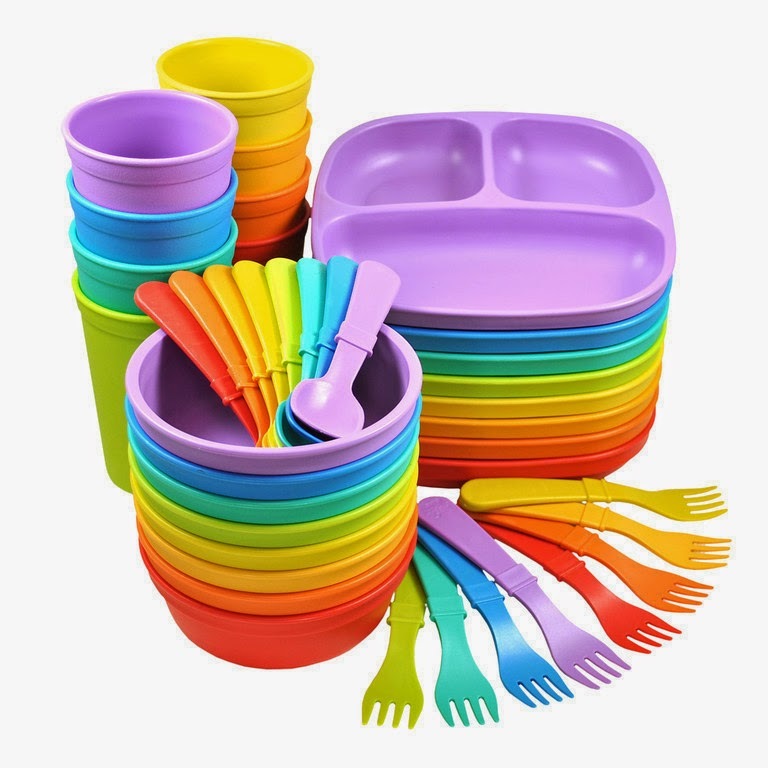 They make mealtime so much fun and they're sturdy, functional and affordable! Plus they're a very earth conscious company, using only recycled materials (even the boxes they're sold in are made from recycled materials)! 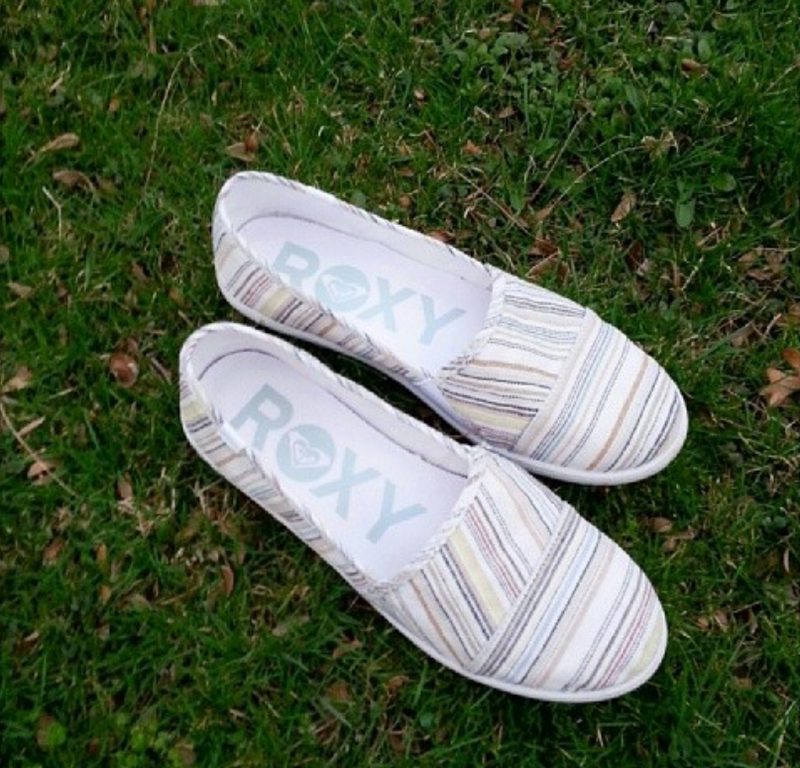 Check out a review (found here) from when I recently featured them on the blog! Cause it's "ma birfday mumf" and "ma birfday" (lol) is on Easter this year! 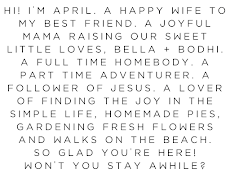 Plus it's just a great month all around, I mean we do share a name and all. Flowers starting to bloom, springtime (aka warmer weather) hopefully coming to stay this month, moving to our new apartment on the 12th! April promises to be a good/busy month! We are LOVING this stroller! It seriously rides like a dream! Bumps on the sidewalk? What bumps? 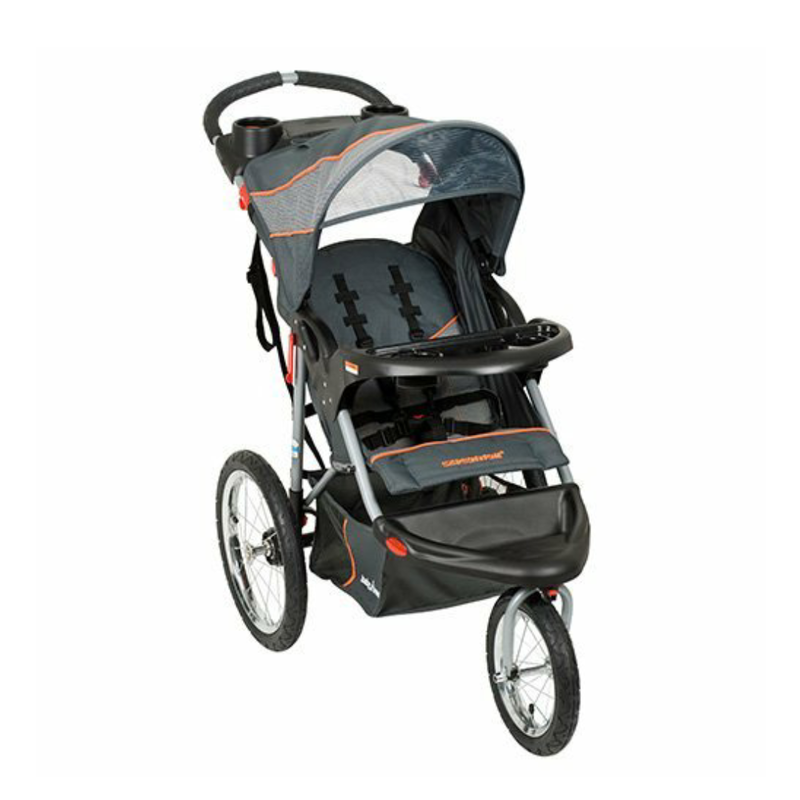 It glides so smoothly and it super comfortable for Bella, the handle bars are at a great level for me since I'm taller and I also love the wrist strap feature (for if I tripped and lost hold of the stroller while I was jogging so that the stroller with my daughter wouldn't go rolling on its own)! The cup-holders are great and I especially love the little compartment between the parent cup-holders for keys/phone/etc.! And one of our favorite features is that the canopy can move completely forward to shield our daughter's sensitive eyes from the sun if need be! The stroller holds up to 50 pounds which from what I've read is about a 6 year old or so child. This particular stroller sells for $115 on amazon and if you have amazon prime (or sign up for the 30 day free trial like we did) you get FREE 2 day shipping on this stroller! Yay! We'd buy this stroller again in a heartbeat! This new Talenti flavor is one of my new favorites! If you hear angels singing the hallelujah chorus when you take a bite of this, no, it's not your imagination. Lol. Creamy vanilla gelato with crunchy hazelnut pieces and chocolate chip bits... Gluten free, vegetarian... 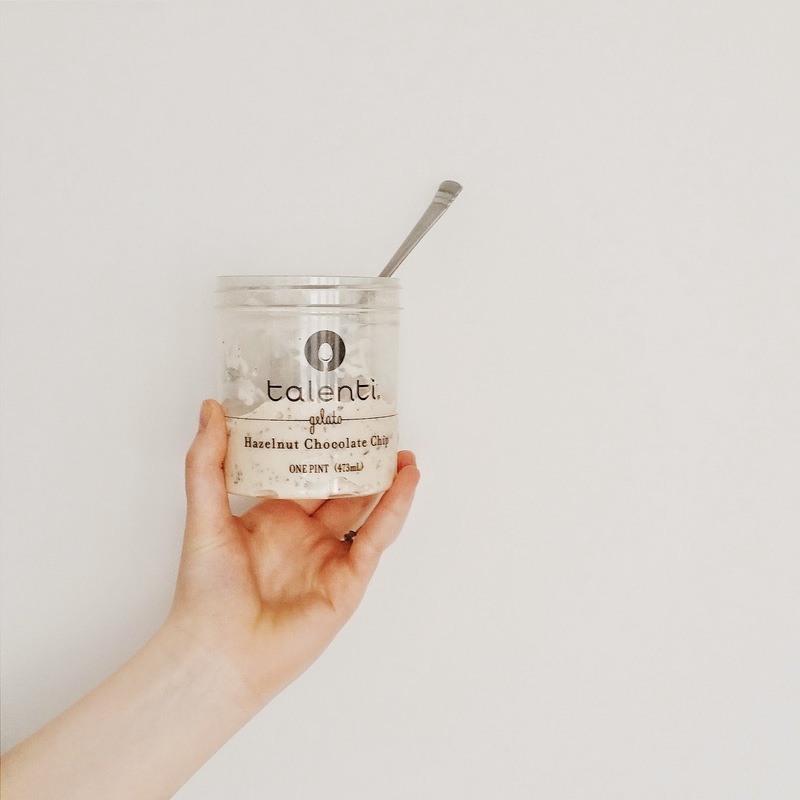 This gelato is so decadent and so much yum! 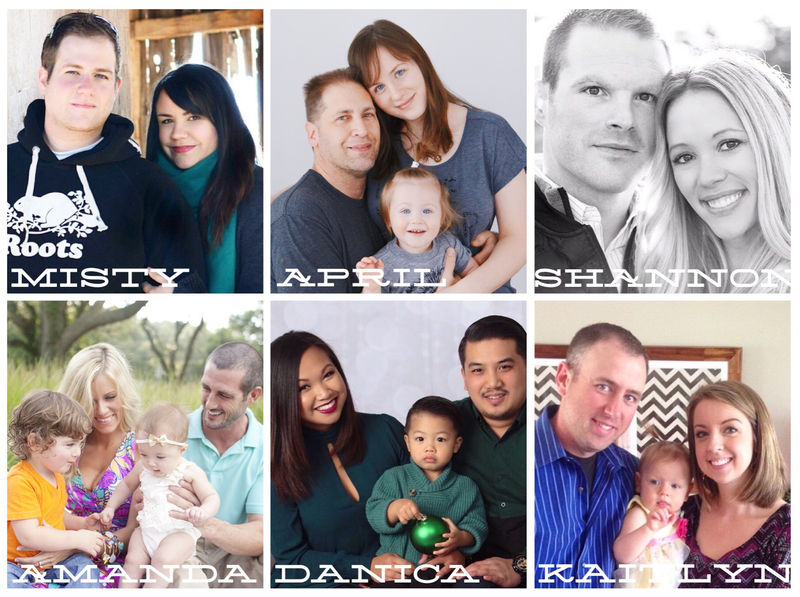 Grab our graphic (above), link back to one, some, or all of us, and add your link below! Nice jogger! My mom got us one second hand and I can't wait to use it. Need to get in shape!!! We had this stroller in the basement. An old co-worker gave it to us free and we finally got it out. Hubs likes it better for his running over the Britax. Gotta love free! Haha yes, free is AWESOME! Especially for this stroller! So glad you like yours too!